OurEnergyPolicy.org | Do We Have The Raw Materials For The World To Become 80% Renewable By 2050? There have been many voices lately saying that renewables could produce 80% or more of the world’s energy by 2050 in order to limit global warming to 2.5°C, as long as we develop sufficient energy storage and bring up efficiency and conservation. But the real issue is steel. It takes about 500 tons of steel and 1000 tons of concrete per MW of wind power. Even more to connect them to the grid. The United States has used 40 million tons of steel to build 48,800 wind turbines totaling 74,512 MW and costing about 150 billion dollars. Wind energy produces about 200 billion kWhs each year or about 4% of our total electricity. Coal produces 41% of the world’s electricity and 30% of its primary energy with oil and gas bringing the fossil fuel total to 66% of primary energy. This amounts to about 25 trillion kWhs equivalent including petroleum for transportation fuels. Non-hydro renewables so far produce only 3% of primary energy despite aggressive policies to install them in the developed world. Total primary energy is projected to increase to 40 trillion kWh equivalent by 2050. Wind output in the United States alone is projected to be 404 GW by 2050 representing an increase of 338 GW over 2015’s 66 GW of installed capacity. As wind penetration increases due to reduced capital costs along with lower prices for renewable energy, steel requirements will naturally be greater in demand. 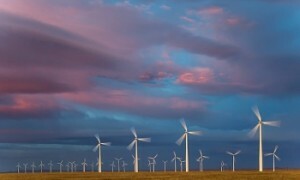 The Department of Energy’s Wind Vision Study forecasts wind energy could supply 35% of US power by 2050. Since wind turbines only last about 25 years, this volume would have to be replaced every 25 years. Although global steel production is presently at an historic high, totaling 1.6 billion tons a year, the real question will be if the steel industry can keep pace with future demand for wind. How likely is it that we can increase steel production to meet this demand? How much more expensive will it be to recycle the steel from old wind turbines to produce new ones in the subsequent 25-year cycle? 34 Responses to Do We Have The Raw Materials For The World To Become 80% Renewable By 2050? As useful as this discussion is and as many good points can be made either way I would suggest you are asking the wrong question. First the wind numbers are they total ultimate capacity for generation or are they the overall generation per year. If they are the ultimate generation number then divide by three and that is more likely your true output. Then you can decide if that number is worth the cost given the expected rate of return. Mr. Conca what you miss is that there are other alternatives outside the traditional wind, solar, wave and tidal sources that have the ability to be far more economic. I have no real problem with wind with the possible exception that structurally they could be much better and far more efficient in their use of materials. What my biggest problem with most renewable energy systems we have in place now is that their true highest cost is seldom if ever counted. That cost being the storage, smart grid and most important parallel renewable or carbon based back-up systems that are needed to keep things working. If you have a base load renewable system you can delete all these costs and in fact you have the real possibility of changing some of them into additional profit generators. It is truly possible to get 6 times the performance with 2 times the life expectancy with some of the base load systems I am referring too. Good points! I am correcting for capacity factor, and yes, I don’t think the output is worth it and that we will not get the world to sacrifice that much steel, especially since you correctly point out the intermittency issue, which correcting for will take even more steel and energy. Yes, the problem is you have to replace them so much more often than caseload sources. Our East Coast OWE has some pretty good characteristics, especially when combined with solar capacity. Granted the fledgling OWE industry in the US needs support, but we need to look at the ‘dispatchability’ issue raised by Mr. Best a bit differently. With the exception of summer, all peak-time demand for Virginia to Maine can be satisfied with OWE in the waters off those states.” (wind Energ. 2013; 16:977–997) Peak power is the expensive kind, and if we are using wind and solar to meet peak load, then isn’t the expense of backup a different matter? Finally, a certain amount of gas is necessary and gas can work synergetically with wind and solar, but there are other ways to decrease the problems of intermittency. Hydro can also be used, and the Atlantic Wind Connection, the under water connection of wind farms from VA to NY has been designed to minimize the fluctuations of wind. Jumping into offshore wind and not connecting to the AWC would be a huge mistake. Studies have shown that taken together there is never a time of no wind. We need to be working on making the grid flexible and more information based. Weather information is becoming pretty accurate and is being incorporated into the grid in some places, and it is possible to turn isolated installations of either wind or solar into something else … where, by working together, they can make the downtimes much less problematic. Energy is, after all, an interconnected endeavor. Good points, if we can make the grid flexible;e, that’s great. But what about a polar vortex, where nuclear was the only source providing full power? Yes, the eastern U.S. might be able to pull it off, but what about the world given the steel issue? Jane: It appears that the wind/solar combination you talk about would require two systems, one a solar system and the other a wind system. Each system would have low productivity at times during the year, e.g. the low productivity of solar during the winter months. During the low productivity period of the solar system, the wind system would have to be large enough to meet the demand not met by the solar system. Similarly, the solar system would have to be large enough to compensate for time periods when wind output is low. So it is not just a question of assuring that with many wind turbines connected together that some wind power generation would be available. It is the cost of building two large renewable energy systems that can meet the demand 24/7 all year long. This is more than a seasonal solar energy issue, because the sun does not shine at night. This implies that you also need large amounts of energy storage and/or have to rely on fossil fuels for backup. If you have to rely on fossil fuels backup we would then be talking about three systems and the release of GHG from these fossil fueled plants. Then there is the flip side of this, when renewable output exceeds the demand. This is likely to occur every spring and fall when neither space heating nor air conditioning are needed . Do you have to “dump” the excess renewable energy? What is the total cost per kw-hour of this two to three system arrangement, including storage if used? What happens to all the offshore wind turbines during the hurricane season when huge storms roll up the east coast? Jane Twitmeyer makes an interesting case, but she underestimates the benefit of solar for peak power. In much of the USA the maximum insolation is concurrent with the electric peak which is air conditioning. The hottest days are also the sunniest days. For reliability we will need other sources, right now natural gas, but there is storage, biomass, wave, hydro and possibly nuclear. An interesting twist would be to use the Siemans reversible battery in/out system for cars. The parking lots at the office buildings and industrial plants could be filled with cars which get charged up when the sun shines and discharge to power homes and also get into the grid. For instance, if a home has its batteries solar charged during the summer peak and the air conditioning is turned down during the day, there may be extra kwhs to put back into the grid at night. Ansimilar point is that if there is sufficient transmission capacity for Hydro Quebec to supply New England during the summer, it does not have to be wasted for peak use if there is enough on-peak solar. These are just two of the many scenarios that make the steel issue be paltry as an impediment. We will not know whether OSW will be viable in a large scale, but the Deepwater Wind Block Island project looks like it is ahead of schedule and will be sending net power back to the mainland by this fall. Yes, hurricanes could be a problem, but the systems are being built assuming hurricanes. The good thing is that hurricanes tend to hit big in September and October, so they are not on the electric peak. 80% renewables by 2050? Probably not, but certainly not by looking through the rearview mirror. We are moving into a dynamic period for new materials. We have the technology to make wind farms from something other that steel and concrete today, but certainly not at scale and appropriate price point. Wind power can be better integrated into the economy than just connecting it to the grid. It may even contribute to making the new materials to make wind farms with. We have a lot of CO2 and combining it with H2 from excess, off demand generation capacity through bio/chemical processes is now beginning to be developed. The question and responses to date are not particularly forward thinking. It does not represent the innovation spirit that we need today. True, but you can’t depend on “a scientific or engineering breakthrough”. They tend to be slow and unreliable. Replacing steel will be pretty difficult. We have materials but they are way too expensive and certainly will not be plentiful enough by 2050 at a reasonable price. Forward thinking is great, but you can’t throw out sensibility when making policy. I don’t see an issue in increasing steel production under a business-as-usual scenario to meet growing demand for wind turbines. Global steel production is currently about 1.6 billion tons per year. Growing the number of wind turbines in the U.S. to support 400 GW capacity by 2050 would only increase global steel production by about 200 million tons over the next 30 years which is a small percentage (less than 1%) of the total global steel production over that period on the order of 48 billion tons. The more important issue is that steel production currently requires the use of metallurgical (coking) coal, which releases CO2 in the steel-making process thus contributing to global warming. The goal should be to replace coal in steel production. This can be done by doing much more recycling of steel and using alternatives to coal in the steel production process (e.g. biomass residues). Introduction of significant carbon taxes on coal use worldwide would encourage such substitution away from coal in steel production. This is particularly important in China, which is the dominant global steel manufacturing country. Excellent points! Yes, the issue is not the U.S., but the global needs, and it better be prior to 30 years. Has biomass been used before in coking? That’s a great alternative. Biomass residues seem to have potential for use as a sustainable method of steel production. It appears the steel industry is currently migrating away from coal to natural gas. Steel is one of many essential ingredients for “renewables,” but so are concrete, glass, aluminum, rare earths, lithium, ammonia, phosphate, potash, water, habitat acreage, biomass, and a wealth of fuels, fertilizers, and energy services. The core issue is not any single of these ingredients, but energy itself. It is the continuing flow of high-volume, high-density, high-power energy that produces all of these ingredients from raw materials, and which then further transforms them into finished goods and energy services that sustain civilization. It takes huge amounts of energy to make solar modules and wind turbines, to recapitalize them every couple of decades, and for the other energy generation and storage plants that are necessary to back-up and buffer their intermittent power. For biofuels, 80% or more of the final energy content in the finished fuel can be traced to fossil fuel inputs necessary to produce annual yields in meaningful quantities. We need to determine if all this input energy can be supplied exclusively by solar and wind and biofuels, and whether, in such a case, the output electricity and fuel can be produced with a high-enough energy return on investment (EROI) to maintain modern civilization. The first question to be answered about any potential energy source is whether it is genuinely a net energy source and is not simply borrowing energy from other paths like the many perpetual motion schemes of history. Then we need to quantify the energy production benefit of a particular pathway in terms of its full lifecycle EROI (total lifetime energy production divided by total lifetime energy consumption). Knowing that modern civilization and its standard of living only exists because of 10:1 and higher EROIs that enabled the industrial revolution and modern high-energy intensity lifestyles, we can eliminate energy pathways with lower EROI as not suitable to sustain modern quality of life. Secondly, we need to accurately characterize the the consumption of resources for each energy pathway (and we need to be honest that any pathway that consumes finite resources along the way is not truly renewable or sustainable). Thirdly, we need to consider the polluting emissions and environmental damage footprint of each form of energy to determine the true “greenness” of each. Of course, all of these impacts must be normalized per unit of energy service delivered to the economy, and must be calculated across the full lifecycle of each would-be energy source. When we do these analyses rigorously, we find that all of today’s energy pathways consume irreplaceable finite resources (fossil fuels, minerals) in some phases of their lifecycle, and thus none are truly renewable or sustainable. Specifically, we find that wind and solar hardware is produced with huge amounts of fossil fuels and finite minerals. Their capital and recapitalization costs and emissions are very high per unit of generation capacity and lifetime energy delivered. We also find that solar and wind, without economic electricity storage well beyond today’s technology, have EROIs much too low to sustain modern civilization in even the post-industrial world, let alone power the industrialization of the developing world. Liquid biofuels are orders of magnitude worse than wind and solar in terms of net yield, consumption of finite resources, and lifecycle emissions. In fact, so far, liquid biofuels have actually increased polluting emissions, GHG emissions, and environmental damage compared to use of fossil fuels according to the EPA, the U.S. National Academy of Sciences, and the German National Academy of Sciences. If pumped hydro storage suddenly improved in efficiency by a factor of 3 and battery storage energy density, lifespan, and cost suddenly improved by a factor of 10, then wind and solar, paired with these, would have lifecycle costs and capacity factors that would make them compatible with modern civilization’s energy demands. Until that day however, wind and solar are free-riders living on fiscal subsidies from federal and state governments and ratepayers, and on energy subsidies from fossil fuels. The same is true of biofuels, only with less hope. They are up against hard biological and physical limits of photosynthesis and will never be able to supply the nationals liquid fuel needs in sufficient quantity at sufficient EROI. Nikola Tesla did the math over 100 years ago and concluded that the intermittency and low power density of wind and solar prevented them from being viable national energy sources without a breakthrough in electricity storage. That is why he favored controllable hydropower electricity and tried to develop the first fuel cell (what he called the “cold coal battery”). Electricity storage has progressed incrementally, not exponentially over the past century due to hard limitations imposed by known chemistry and physics. Until the advent of a breakthrough in electricity storage, the fossil fuel energy and valuable minerals and materials we continue to pour into intermittent energy are a needless waste of finite resources. And every day we continue producing hopeless liquid biofuels is self-inflicted injury to ourselves and the planet. Wasting steel that could do good elsewhere is just one of many forms of this waste. Fortunately, reality eventually overtakes fantasy every time. Annual wind growth has been tapering off globally, both in construction and energy production. China has been massively curtailing wind production of late due to grid instability caused by reckless overbuilding of an intermittent source. Solar growth has likewise begun to slow from its exponential pace to a linear pace, but not yet transitioned to the logarithmic growth plateauing phase that wind has already reached. Yet, Germany has been curtailing solar production for years as necessary to stabilize its grid, even though solar still only provides about 7.5% of its annual electricity needs. As the markets are finally recognizing the inferior value of intermittent energy, PPA prices have plummeted, and it is now a buyer’s market with very thin margins for RE developers. They in turn are realizing they need to upgrade their product to dispatchable quality by pairing it with storage, but the costs are still prohibitive. That is why there is so much lobbying of federal and state governments for storage mandates and subsidies — they want the taxpayers and ratepayers to now cover these costs too. But there are not enough billions to be looted to produce storage in the necessary volume to make a noticeable difference nationwide. Still, I’m sure we will build a few utility-scale storage facilities as monuments to ignorance and fraud analogous to the Ivanpah solar facility, where ratepayers pay an eye-watering 18.5 cent/kWh for wholesale intermittent power from a plant subsidized by taxpayers with an extraordinary capital cost of $19/watt that requires 5 hours of natural gas boosting a day and still only produces only 2/3 of its promised electrical output. The numbers for storage today compared to where they need to make economic sense are worse than Ivanpah’s numbers compared to the current $2/watt capital cost and 3 cent/kWh wholesale costs of fully dispatchable, high-efficiency, combined-cycle natural gas generation. If we were sane, we would spend no money for fielding any more intermittent power or current technology storage, but put all the money we can afford into storage R&D until the necessary breakthrough occurs. I personally don’t believe it is coming in time to enable 80% RE by 2050. Ike: In reality, sustaining our “modern quality of life” with fossil fuels is not one of the options available to us. Climate change destroys the status quo… if it didn’t, we wouldn’t need to worry about it (I know, you don’t worry about it). As for intermittency, storage is not the only solution. Demand response is an almost free method of matching supply to demand. As the number of electric vehicles grows, controlling the rate of charging (as opposed to using the EV’s battery to power the grid) is easy and only requires software and an internet connection. The lowly Nest thermostat is already being used in LA and other places to provide demand response for Southern California Edison and other utilities. If we put our mind to it, we could meet almost all of the intermittency challenge with demand response and similar measures such as energy efficiency. While we are not going to increase the efficiency of pumped hydro much (it is already extremely efficient), batteries are getting better rapidly. One of our portfolio companies, Gridtential Energy, has developed a new battery architecture that lowers the storage Levelized Cost of Energy by 75% compared to a lead-acid battery. The battery, which will be built by existing battery manufacturers, will be available commercially starting next year. There are many other storage innovations that will be commercialized in the next years and decades. If the proper incentives are put in place that account for the damage that fossil fuels cause, we can reinvent our energy system so that we do more with less and maintain a good standard of living. It won’t necessarily be the same standard of living as before (just ask the folks in southern Louisiana) but it will be far better than sticking our heads in the sand and hoping that we can maintain the status quo with our current dirty energy energy system. Of course we can scale up manufacturing of wind and solar. As others have pointed out, the amount of steel required for the current version of wind turbines is a small fraction of current steel production. But there is no reason we would need that much steel in the future. Google’s Makani Power is developing kite-like wind turbines that are more efficient than current models and use a tiny fraction of the steel. If we are talking decades from now, we will probably use carbon fiber (made from captured CO2) instead of steel because it is lighter and stronger than steel. Agreed, but the elephant in the room is nuclear, as Hansen and the rest of us know, we will lose without it. And it’s still easier to install coal in developing countries than any other source because they do not have the infrastructure to install much else. If we don’t make it easy to install not-coal, then we will fail. While I am not anti-nuclear (I’m anti-CO2), nuclear has a number of problems that make it less than ideal in our fight against climate-change. It is expensive, it takes a long time to build, and the public has an irrational fear of nuclear. Because of the first two problems, we can build a lot more renewable energy capacity (including storage, demand response, etc.) for the cost of building nuclear and in the time it takes to build nuclear. We need to begin switching over to a clean energy economy right now. Better to do it with technologies that can be deployed quickly and are already cost competitive with fossil fuel power even before putting a price on the externalities of fossil fuels. But it cannot be done without significant nuclear. And the life-cycle cost is not more than anything except hydro and gas and it’s about equal with gas. Just a big upfront cost, still about half that of wind for the same output. It takes 9,000 MW installed of wind to equal 1,000 MW installed nuclear. Besides the high cost and long implementation time for nuclear, another problem is that nuclear cannot react quickly to changes in supply and demand, so it is not compatible with an energy system dominated by renewables. That is why some nuclear plants in Germany need to sell electricity at negative prices during times of high renewable production. The third problem of nuclear that I mentioned, that the public has an irrational fear of nuclear, should not be underestimated. People, including policymakers, make decisions based on emotions, not data. Nuclear power may be 1000 times safer than coal power but it doesn’t matter. We are not going to deploy much nuclear in the next decade or so. Dan, the capacity factor for wind in the U.S. averages 30%, but depends on the location. Here in the PNW, it’s about 25%, in tornado alley it’s 40%. In response time, you’re thinking old reactors. The new SMRs can load-follow as well as gas. Yes, we won’t be deploying much nuclear, but China plans 400 new reactors by 2050. It would be better if we lead the world in nuclear, but it will happen anyway. James, obviously the economics of nuclear are not working out for utilities since they are closing existing plants. And as I mentioned, telling people facts about nuclear won’t get them to support it. We have known about the dangers of climate change for 35 years yet we have done virtually nothing to address it yet. Dan, the economics of nuclear are fine, the few nuclear plants closing are merchant plants only in deregulated warped markets with unfavorable politics, the majority of plants are doing fine. But I agree that facts are not very important when confronting ignorance. Each kilowatt-hour supplied by a rooftop solar panel, stored in an on-site battery or saved by an efficient building, means one less kw/hr our utilities must generate for the central grid. This inevitable reduction in central grid demand is why the future isn’t just about switching resources, like burning gas instead of coal, or even building solar and wind farms. The future is about a re-imagined system that allows and encourages you and I, and our local mall, to make our own electricity on-site, feed some of what we make into storage, some into the network, and to draw on the network when we need to. This redesigned system will have a central grid demand reduction of up to 50% within 15 years according to CitiGroup. 20-40% of total demand will be met at the local level through efficient buildings and on-site generation and storage is arriving with the software to handle a lot of the issues you bring up. 25% of Fortune 500 companies re looking into solar with storage. Georgia Tech has a new paper about how the Southern states can meet the CCP. One emphasis is building retrofits, but also adding DR and wind and solar. PJM’s New England and NY markets will cut about 1,400 megawatts (MW) from their wholesale electricity generators by 2019, saving them – and their customers – a “whopping $2 billion each year.” The increase in electricity supply provided by new on-site solar generation, and the resulting reduction in grid demand, is a good deal for everyone. “Throwing Shade” Here is VA’s rating, a place where lack of friendly policy matters. Change at the regulatory level required. Finally, the most expensive electricity is peak use. That was the point of my Atlantic Coast OWE/solar synergy post. The solar/wind synergy can do a lot for the congested grid in the major east cost cities. Those numbers sound great but the assumptions behind them are still weak and not borne out by trends. Renewables are only installed when tax credits are available. When they’re not, construction stops. Rooftop solar is only viable with tax credits and state net metering, my own array being a great case. I get 54cents/kWh from taxpayers, even if I use the energy myself. I hope it all works out, but just saying so, and mandating it politically to be so, doesn’t make it so. James: You could say the same thing about nuclear and fossil fuels. Nuclear plants would never be built if the government hadn’t put an artificial cap on liability and provided other subsidies. Fossil fuels are highly subsidized and competitive only because their enormous external costs are shifted to society (which the folks in southern Louisiana (floods), California (fires), and many other places are paying today). Compared to fossil fuels, the subsidies provided to renewables are a bargain. Ye, but Price Anderson doesn’t affect the cost or price like a tax credit does. The nuclear industry has an insurance corporation that all companies pay into. And any disaster that tops a billion dollars gets federal help anyway. I cited a lot of reports … what assumptions do you not like? Yes, the State of WA gives 54cents/kWh produced. Solar benefits mostly from state credits, wind from federal credits. Solar has a 30% federal tax credit that will be reduced to 10% next year … I consider a federal subsidy as it is tax not collected, a tax expenditure. RE your Washington state solar … I looked it up and see it is a feed in tariff that starts at $.15 and can go over $1.00 per kw/h. Your tariff is attached to the utility bill and then your utility can get a Washington state tax credit up to a certain amount of the utility’s annual profit. Appreciate the response. Sounds like Washington was ahead of the game with their approach and I see that the $.54 is not a statewide flat number … would look pretty high as a net-metered number, except maybe in Hawaii. RGGI has performance numbers … which others do you think are based on wrong assumptions? Yes, I should have mentioned that you get the full 54cents only if the entire system, cells and inverters, is manufactured in the state of WA, which is easy, we have some nice solar manufacturing companies here. Sorry … my point was that the $.54 wasn’t just money from taxpayers. But it is all taxpayer money, the Fed 30% installation rebate is federal taxpayer money, the 54 cents is all WA state taxpayer money. The premise this whole series is rather odd. And there are several foundational errors in the discussion. First, in discussing renewable energy, you need to address the entire portfolio of renewable energy options: geothermal, hydropower and marine energy (tidal, wave, ocean thermal & currents), sustainable biomass, concentrated solar thermal with storage, along with the wind and photovoltaics discussed. Second, all existing energy generation has an operative life, and will have to be replaced, so this odd discussion of the amount of resources for the changeover is sort of moot – has to happen anyway. While there is a focus on energy generation, most of the generation is thermal plants, which uses more water in many countries than growing food. And there is little doubt, increasing thermal plants are surely going to strain supplies of clean water. Finally, I have seen no data in this discourse on the materials that would be to replace and expand the fuels supply (and waste containment) infrastructure for traditional fuel-based generation: coal, petroleum (diesel and heavy oil electric generation), and nuclear. So most of this discussion focussed on generation but not the entire fuel supply, generation, and waste storage cycle, which tends to be far more resource intensive. The material requirements are well-known for wind and traditional sources, less so for solar and other new sources, so just was focusing on wind as a major portion of renewables. Although I like solar better than wind, I don’t see all-renewable proponents proposing less than half wind. I’m not sure why you think fuel supply and waste handling is material intensive. There’s so little nuclear waste it’s trivial. Mining for fossil fuel and steel for all uses mainly long-term re-useable materials. Why do you think the changeover is moot, and that it has to happen anyway? Coal and oil are still the fastest growing energy sources in the world and likely to continue unless the developed world decides to pay for the transition in the developing world. The $100 billion that came out of COP21 is a tenth of what is needed, and I don’t see it being used yet.